Within our Los Angeles, California, ministry alone, around 20 missionaries live and serve in Los Angeles in ministries like church planting, The Urban Ministry Institute (TUMI), the Los Angeles Christian School, Teen Center ministry, and the Sonshine Shop thrift store. Existing Bible institutes and seminaries often are not culturally relevant nor financially viable for the everyday urban Christian leader. TUMI's Certificate in Christian Leadership Studies is economically and culturally accessible. Our Capstone Curriculum is a seminary-level program of practical theological studies that emphasizes a narrative approach to the Scriptures, an oral-learning methodology, and the use of symbolic visual aids for easy memorization. The Teen Center opened in 2010, after a large high school was built across the street from World Impact. God gave the leaders at World Impact the vision to reach youth from the community and those who would just be walking by each day after school. Since then, hundreds of students have been able to hear the gospel, numerous lives have been transformed, and many former students have gone on to become Christian leaders in their context (including staff at the Teen Center). The Teen Center ministries have also provided significant assets to under-resourced students at a crucial time in their lives. The Teen Center provides an After School program for youth, which includes tutoring, a gospel message, life skill classes, SAT Prep, and open gym basketball. It also provides Middle School and High School youth groups (called Kaleo). It offers a Young Entrepreneur's Program which teaches screen printing, business basics, marketing, etc. Through a partnership with RenewLA, it has offered videography, photography, coding, artisanal coffee/barista training and performing arts classes. Lastly, the Teen Center offers a youth leadership program called CORE and a ministry for Young Adults. If you are interested in more information or helping out, visit worldimpactteencenter.org or email Bryan Cullison at bcullison@worldimpact.org. The SonShine Shop thrift store provides quality new and used clothing, appliances and household goods to families in the community. It also provides relationship, a listening ear, and a safe place for those who are in transition, need a friend, and find themselves in a life struggle, which brings them there in the first place. It's a unique ministry in that it provides a public face to World Impact, open to all in the community six days a week for nine hours a day. Cedric has been in the ministry for 18 years and has been working in different areas of ministry, from youth ministry, men’s ministry, teaching, community development, social justice, and civic engagement. He was also the radio host of the Chosen Generation Ministry Radio Show, an internet program/podcast that deals with the intersection of culture, life, and faith. He is the lead pastor of Chosen Generation Fellowship Church, in South Los Angeles. In addition to that, he is the newly appointed Los Angeles City Director for World Impact, where he is actively working on being a bridge builder for the Los Angeles and the Faith Based community. Anne Bolcom comes from the San Francisco Bay Area. She became a Christian as a student at UC Berkeley, then worked in various disciple-making ministries in the US and then in France. After working at the US Center for World Mission, she came to World Impact and worked in Human Resources for 13 years, then left to begin a new career. She rejoined World Impact as the 4th grade teacher at their Los Angeles school and loves teaching and discipling urban children! Sarah-Jane was born and raised in Georgia and has one sister and one brother. She attended the University of Georgia where she graduated with a BS in Psychology (and a minor in Sociology). Following graduation she joined the United States Peace Corps where she served in the Community Health sector in Ecuador. She then returned stateside to receive her TESOL certification before moving to Kinmen, Taiwan where she lived for two years teaching English. She joined the Los Angeles Christian School staff in July, 2017 as the Second Grade teacher. Bryan was born and raised in Indianapolis, IN, and has an amazing family with both parents and two sisters. His wife Erica and he just celebrated their one-year anniversary in November. He graduated from Greenville College with majors in Social Work, Mathematics, and Computer Science. He joined World Impact staff in January of 1996, and has since taught in the schools, been a youth minister, a TUMI facilitator, a church planter, and a media producer for WI-LA. He developed and directs the Young Entrepreneur's Program for the Teen Center, as well as serving on the Teen Center Ministry Team and as the Coordinator of Strategic Partnerships. Ryan teaches Social Studies and works with school families to ensure student success at Los Angeles Christian Middle School. He is the proud husband of an amazing, talented wife, Danielle, and three wonderful and energetic boys. Julie grew up in the Midwest and received an Accounting degree from Hannibal-LaGrange College (now University). She felt called to the city at a young age and World Impact was the perfect fit for her calling and skills. She joined World Impact staff in December 1996 and served in the National Office Accounting department for the first seven years. In December 2003 she moved to the Los Angeles Christian School where she serves as the Business Manager. She enjoys the opportunities this gives her to interact with the students and school families. Mindy was born and raised outside of Chicago, and graduated from North Park University with a BA in Education. After some time teaching in Chicago Public Schools, Mindy felt called to the nations and moved to Indonesia to teach for two years. Directly after, she attended Hillsong International Leadership College in Sydney, Australia to study Pastoral Leadership. Her next move was to Accra, Ghana as a teacher with the Network of International Christian Schools for one year. Mindy joined the LACS staff in 2015 as the Third Grade teacher. She enjoys the unique opportunities offered through World Impact and LACS to disciple students and their families outside of the classroom. Bob and Chris have been missionaries with World Impact for almost seven years. When their daughter graduated from college, they sensed the Lord’s call to a new season. After 20 years of small-town living, Bob resigned his from his college teaching position and they moved to LA. As Dean of The Urban Ministry Institute (TUMI)-LA, Bob mentors (teaches) TUMI classes at the LA office and the local jails, coaches a church-plant team, helps local churches start TUMI classes, and connects with churches and individuals who support TUMI and WI. Chris serves as Administrative Assistant for the Los Angeles Christian School (LACS). Her favorite part of this job is to be “Grandma” for the 77 students in the elementary school. They miss their only daughter Rebekah who lives in Miami Beach with her husband Jorge and their two sons, Isaac and Benaiah, the cutest kids ever. Hallee grew up in upstate New York and has three siblings. She went to college at Cedarville University in Ohio and graduated with a degree in Mathematics. After college she came to LA in 2010 to do an internship at LACS and to experience life in the city. At the end of that first year she felt called to stay and teach math and has been teaching math and computer class ever since. During her time here she has led 3 discipleship groups of girls and enjoys hanging out with them. In December 2016 she got married to Jean Moon and enjoys going on adventures with him, especially when it involves food! Keren Peña was born and raised in Los Angeles. She is a former student of Los Angeles Christian School, where she attended from 2nd-8th grade. Not wanting to leave Los Angeles, Keren attended Biola University and earned her BA in Liberal Arts. 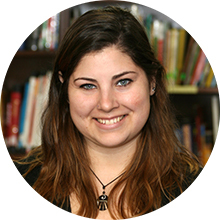 Keren began teaching 1st grade at LACS in 2014 and loves it just as much as the first day she started. Keren is thrilled to be back at her former school as an educator making a difference in the lives of her students and their families, much like the difference they made in her life. Doug, originally from Canada, joined staff in 1990. He ministered in Watts about 9 years before getting married to Cynthia. They met through the ministry as she was a volunteer while attending Biola University and they got married in 1999 and continued ministering in Watts together. After ministering a total of 15 years in Watts they moved closer to downtown Los Angeles and the World Impact National office. They are now serving the ministry administratively. Doug is serving as LA property/maintenance manager and the church partnerships and volunteer/group coordinator for the Los Angeles ministry. Cynthia is a full-time mom to their three children, and she is also homeschooling the youngest two. Olivia, their oldest, is a freshman in a local charter high school. Cynthia is the West Region prayer coordinator and enjoys being at home so that she can be available for ministry with our neighbors. They are both involved in ministry as a part of the Team Care team. Chad and Fabiola met in Mexico while Chad was on the mission field. They have a similar passion to see multitudes of people won for Christ through genuine personal relationships, evangelism, leadership training and church planting. Together they have planted and are pastoring Fuente para las Naciones, a Spanish-speaking church in South Los Angeles. Fabiola, led to Jesus by a missionary, felt called into missions from an early age. She had been involved in outreach and leadership development in Mexico and now looks to reach out to more people on foreign soil…both at the church and at Los Angeles Christian School as a Bible teacher. Pastor Chad, who taught in the public schools system for 11 years, loves using his gifts and abilities to help people fulfill their calling and purpose in life. He is involved in coaching/mentoring other pastors and helps lead the UCA (Urban Church Association) where he meets regularly with other area pastors to encourage, equip and empower them to transform communities together. Chad and Fabiola have been married for 13 years and have three amazing children, Rebecca (12), Justice (10) and Beniah (3). If you are a supporter, and you would like to invest a day's worth of salary to World Impact, or a missionary of your choice, or a program/ministry of your choice, below is how to do that. This is a great way to connect with our local ministry here in Los Angeles, learn more about what is going on in your own backyard, and even champion this cause with others! Choose sometime in the next month or so when you can dedicate some of your time that day (breaks or lunch) to watch videos, read stories, or educate yourself on what World Impact is doing, urban justice issues, urban church planting, etc. Some good ideas would be to donate your birthday, or a day when something historically significant happened related to a justice cause, or simply a day that works for you. There are lots of missionaries, ministries, and programs, and all of them need your support. Browse through the World Impact LA Staff, WI Ministry Summaries, or WI-LA Media Hub for ideas. Share, share, share. Let people know about this and recruit them to do the same. Make it a work event! Have your employer, family, team, class, or church adopt a cause or missionary or program. Advertise it ahead of time and make it a contest. In short, be creative! On your chosen date, have several videos, articles, or content ideas chosen which educate, inspire, and challenge you around the topic. If you need ideas, contact the person leading that ministry, or ask the LA City Director for ideas on what ministries most align with your passions. The WI-LA Media Hub is the place to go to download or cue up videos or links on our different ministries. After you have had your day, collect the funds from your team or group or just yourself, and use the following links to give or find your target fund. For the "Search for a Ministry" button, it will have a search window for you to type in your focus. If your focus does not come up, contact the LA City Director for how to give to it. For the "WI-LA Staff" button, find the missionary of your choice and click on the "Support" button.